Hover cursor over image to view labels. I submit a lunar sketch of the Sirsalis & Damoiseau region bordering Oceanus Procellarum at the western region of the Moon created almost a year ago. What a wonderful area to explore with interesting concentric craters of Damoiseau & the double crater of Sirsalis at this angle of light. Unseen Grimaldi lies in the darkness to the west. 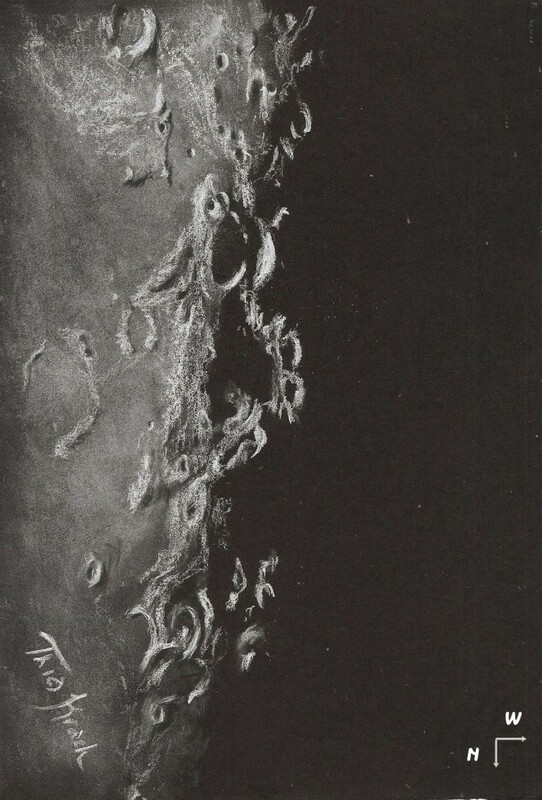 A beautiful lunar sketch. Makes me feel great to see the moon captured up close by you with white pastel on black paper. Excellemt. Whaw Cindy, very nice style ! I like it.